US Military Strategist, Air Force Officer. A famed innovator as a fighter pilot, aerial combat instructor, aircraft designer and procurement specialist during an Air Force career that spanned 30 years, he retired from the Air Force in 1975 and began looking at ways to reform the armed services. What emerged from his studies were two briefings, "Patterns of Conflict" and "A Discourse on Winning and Losing," presentations he gave more than 1,500 times. The ideas, words and phrases contained in these briefings, especially the Observe, Orient, Decide and Act Loop, have penetrated not only the military, but the commercial world and academic halls worldwide. The OODA Loop is now used as the standard description of decision making cycles. The US military doctrine of speed and information superiority over firepower and attrition, demonstrated during Operation Desert Storm and the ground combat phase of Operation Iraqi Freedom, flowed directly directly from Boyd's concepts. How famous was John Richard Boyd? What was John famous for? How famous is this person? Sign-in to cast your vote. 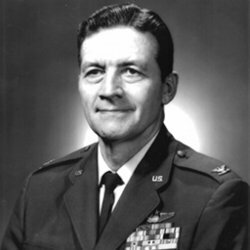 Find A Grave, database and images (https://www.findagrave.com : accessed ), memorial page for John Richard Boyd (23 Jan 1927–9 Mar 1997), Find A Grave Memorial no. 23485522, citing Arlington National Cemetery, Arlington, Arlington County, Virginia, USA ; Maintained by Find A Grave . your computer for John Richard Boyd memorial. I thought you might like to see a memorial for John Richard Boyd I found on Findagrave.com.